After years of searching for the best anatomical girth, Veritas has decided to make their own. Foremost the perfect shape was needed to assist in keeping the saddle in position rather than sliding forward onto the horse’s shoulder blade. The proper shape also allows ample clearance of the horse’s elbow, but not too much curve so that the front loses contact, causing a pressure point along the back edge like other girths we’ve seen. Easy to use keepers that resist tearing or breaking. HIgh quality, durable elastic on both ends with chrome roller buckles. Manufactured using the highest quality English leather, and the same meticulous craftsmanship as their saddles. Front of girth conveniently marked for proper use. Available in sizes from 20”-32”. Anatomical girths run longer so you usually need to size down. ~ and many more ThinLine products... just ask! 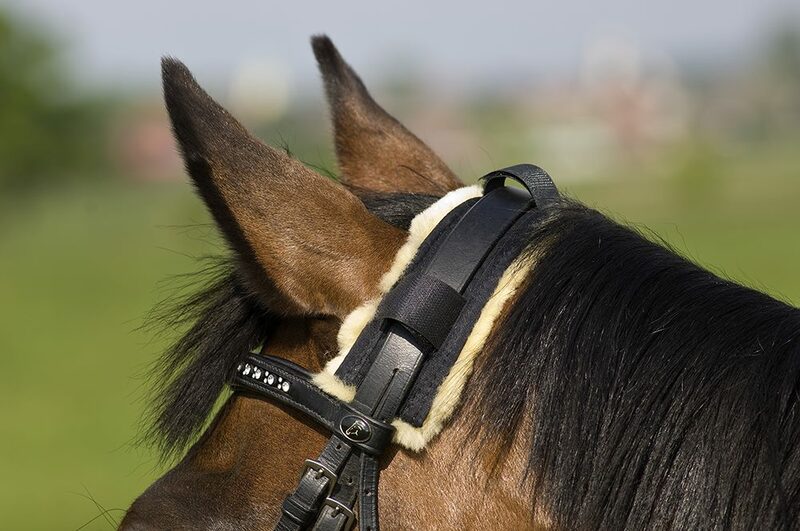 The Half Pad is the most popular of all Christ products, it fits under any English saddle. Machine washable; gentle cycle; fluff dry - like all Christ products. Fits saddles up to 18in. 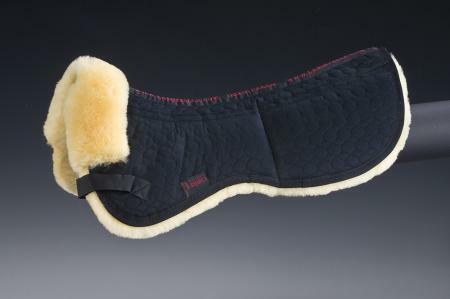 This competition guard made from real sheepskin is attached to the crown piece by velcro loops and has a wool thickness of almost an inch. Not only is this guard machine washable but it's also dryer friendly. An environmentally friendly detergent, it is specially formulated for use on all sheepskin/lambskin products. It extends the life of your product by preventing the natural oils being stripped from the hide, as a regular detergent will. It can also be used for wool and silk products, where it preserves the softness of the delicate fibers and protects their colors. 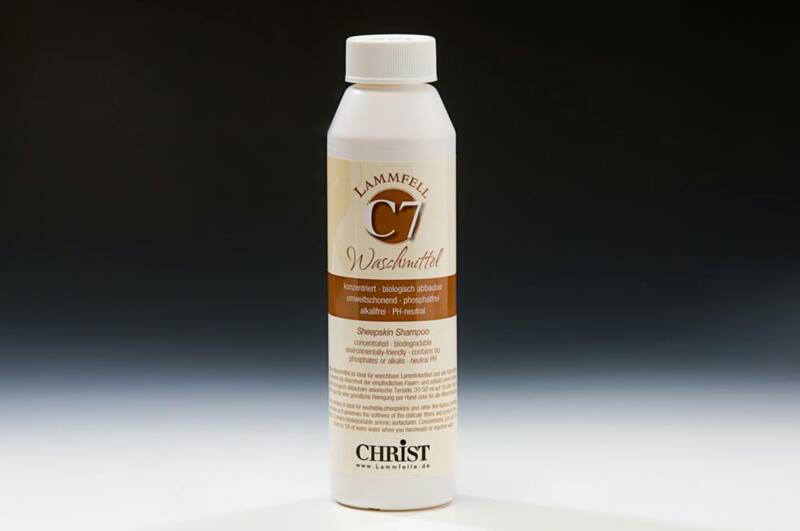 C7 Shampoo is environmentally friendly with a neutral PH. It contains bio-degradable anionic surfactants but no phosphates or alkalis. A 250ml bottle gives approx 9-11 washes. Set your washing machine to warm wash/warm rinse. To dry lie the sheepskin/lambskin article out with the wool side facing upwards. Avoid direct sunshine and direct heat sources. Pull the skin back into shape a number of times during the drying process to retain its shape.